The term audiology is related to the hearing problems and it includes identification, prevention and evaluation of different types of hearing disorders, evaluation and selection of different types of hearing aids and offering rehabilitation/habilitation programs different individuals suffering from hearing impairment. The experts in this field are known as audiologists. An audiologist is a professional, who is responsible for identifying and measuring the hearing function and offers rehabilitation programs to patients suffering from hearing impairments. It is one of the primary responsibility of an audiologist is to evaluate the hearing aids, swim molds and offer custom hearing protection. An audiologist must necessarily be a licensed professional. If you are suffering from some hearing problems, then you can contact some audiologist and they can prescribe you some suitable hearing aids according to your hearing capacity. Actually, we have some hearing capacity and when some sounds create vibration into our ears, some signals are circulated automatically and they directly reach to our brain. When these signals stop accepting the noise and sounds from outside, we start suffering from hearing problems and in this regard, an audiologist can help us to recover the hearing capacity. 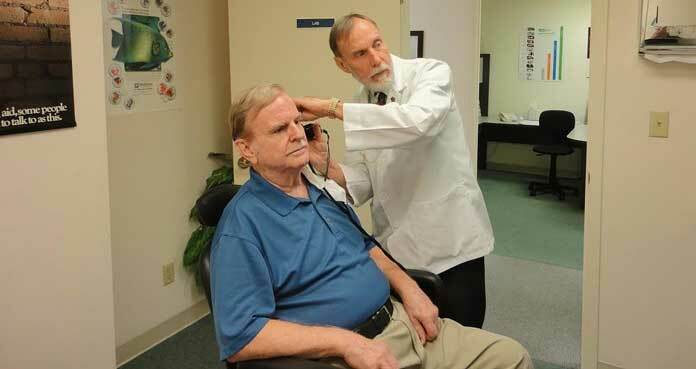 What Are the Functions of an Audiologist? One of the primary duties of an audiologist is to counsel their patients concerning different aspects of hearing health and problems. Conducting and supervising newly developed hearing screening programs is also one of the duties. Sometimes you can notice that after wearing the hearing aids, you are often not able to hear the sounds clearly, and that is because of the hearing aids which you already got. In this regard, you may need to change them again and an audiologist can test your hearing capacity and prescribe the best hearing aid accordingly. It is also the responsibility of an audiologist to manage and evaluate adults and children for suffering from Central auditory processing disorders. Apart from these, there are various other responsibilities an audiologist must perform. One of the primary responsibilities of an audiologist is to diagnose and evaluate different types of hearing disorders in adults and children and then carry out the treatment. It is also the responsibility, recommend any sort of hearing aid which might be required. Performing are different types of examinations of the eardrum and ear canals. They also perform the process of removing an excessive amount of cerumen and they will recover your hearing capacity. They provide and recommend selection of different types of hearing aids, their programming and fitting. Provide and recommend (HATS) or Hearing Assistive Technology Systems. Performing nonmedical management and assessment of tinnitus. They also provide and recommend audiologist rehabilitation; which includes community management, speech reading, auditory skill development and language development. Educate and counsel patients on different types of psychological adjustments related to hearing loss. Sometimes patients cannot understand and they do not want to accept their hearing problems and they do not want to wear the hearing aids. In this regards an audiologist can help them to understand the problems, and they can suggest them some advanced hearing aids which they can hide behind the ear lobes. There are millions of people from all over the world for suffering from hearing problems. It is an audiologist; full evaluates, assesses, diagnose and recommend different types of treatment procedures to the ones were affected with hearing impairment. Previous articleShould you do more weights or cardio workouts?